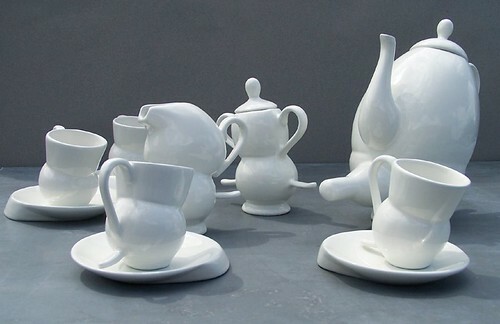 I was so blown away by the gorgeous tea time set created by Dutch designer Aniek Meelijk that I saw today on Design Spotter. Wow. "One warm spring afternoon on the garden table she sees more than her own tea set. She discovered that its shadows could not be separated from the shapes of the set and that they constantly played their own game with them." This was what inspired her Tea Time collection! Don't you love this rather mundane observation turning into something so grand? If you want to learn more about Aniek, you can visit her blog here.